Single doors are a practical external door option, with many designs, colours and finishes to choose from. 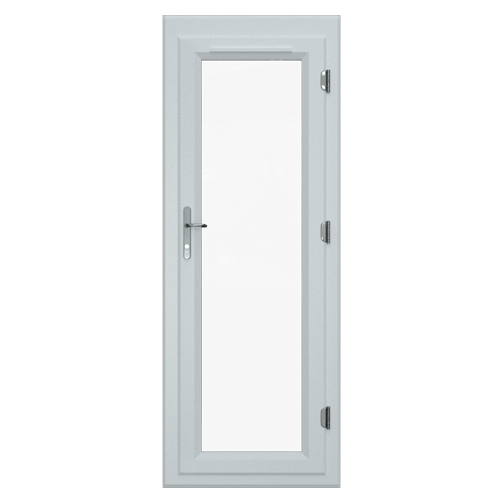 Clear Edge uPVC Single Doors are safe and secure, meeting the highest industry standards, as well as being a stylish choice for your project. Modern and contemporary uPVC colours to choose from to transform the look of your project. Quality door furniture and decoration options for the finer details & to create a signature style. Glazing options to suit the space, the function and the look of your project. We will always work quickly and efficiently to supply your quote to help keep the momentum with your plans – generally within 24hrs. Clear Edge uPVC doors and windows are virtually maintenance free and built to last. Our quality is proven and extensively tested to ensure you have one less thing to worry about. We manufacture every Clear Edge uPVC door and window ourselves, working with industry leading suppliers to create a complete door and window solution for your business. Signup to receive monthly updates and news.